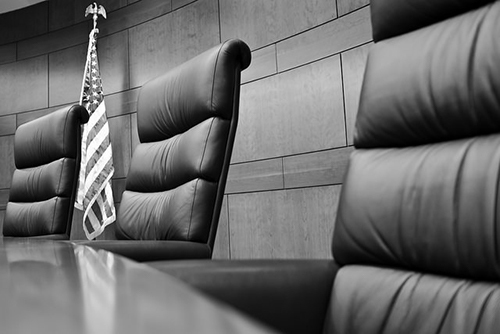 Civil Cases | New York & New Jersey | Law Offices of Adam M. Thompson, P.C. The U.S. civil justice system empowers a person who has been harmed to obtain compensation for losses and damages if that individual can prove that he or she is entitled to financial compensation. At the Law Offices of Adam M. Thompson, P.C., we have helped thousands of people find justice through civil lawsuits and private settlements. From winning $1,200,000 for a car accident victim who required fusion surgery after being rear-ended to obtaining $900,000 for a worker who was injured by toxic chemicals, Mr. Thompson is committed to helping victims obtain the compensation they need to benefit from appropriate treatment and move forward with their lives. Client's store owner judgment and Order of Court to pay $500,000 in damages to sexual discrimination victim thrown out. Decision and Order of Court reversed and dismissed in its entirety. Civil assault and battery case (confidential). Client was assaulted by bar owner. Suffered partial hearing loss. Passenger on bus involved in accident. Foot fracture. Settled during trial for $125,000. Client's car hit in rear. Fusion surgery needed. Client's truck hit by delivery truck. Cervical fusion surgery needed. Client's car hit by delivery truck. Fusion surgery needed. Client passenger in cab hit from side. Shoulder injury. Press Case. Police officers assault pregnant woman. Girl assaulted in school by other students without teacher supervision. Verdict of $1,050,000 for sexual assault. Press Case. New York City police officer sexually assaulting citizens. Press Case. NYC off duty police officer attacks citizen. Default judgment for in favor of client for $150,000. Press Case. NYC police officer improperly shoots and kills citizen. Press Case. NYC school teacher negligently hit while driving her car by police car and seriously injured. Settled during trial for $550,000. Settled after jury verdict for $125,000. Ganash v. Moishe Moving Corp.
Case pending in New Jersey court. Client injured from fallen construction debris. Developmental delay. Client injured from toxic chemicals at work location. Slip and fall on sidewalk. Slip and fall on property entrance. Settled at trial for $90,000.